Even kids can contribute to science at Pepperwood! 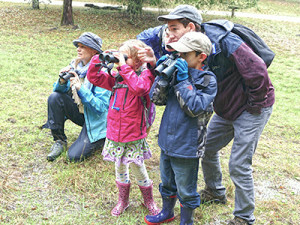 Offered in partnership with our friends at neighboring Safari West and Petrified Forest, this annual Mayacamas Christmas Bird Count for Kids pairs families with birding experts to help document our local bird populations. Click here to read about the history the Christmas Bird Count tradition.